Flygon and milotic are the most wanted megas that hoenn didn't recieve.. I don't think we'll see them and that we're done with hoenn, but there is a possibility if GF sees their demand. 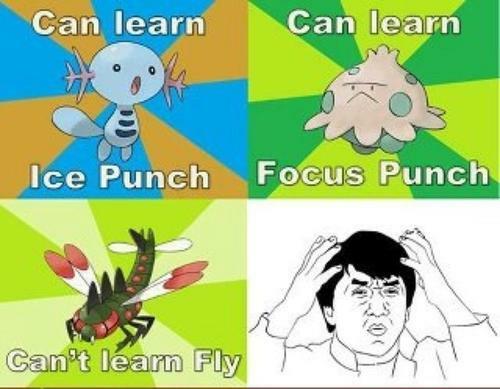 But mostly I just see a focus on gen 5 and 6.. I'd like to see Mega Evolutions for the three Johto Starters and for a Mega Flygon. Lanturn still wouldn't have levitate, which is rotom's niche over it. Every counterpart in XY, that is. Slowking still doesn't have a Mega either. Neither does Froslass. I think Butterfree, Slowking, and Froslass are inevitable. Same with the Kalos starters (regardless of the backlash over Mega Greninja being broken). EDIT: Froslass might be saved for something with gen 4 since they may want to play conservative to save megas for their respective generations. Mega Charizard. Then we'll have Mega Mega Charizard. 3DS Friend Code: 4527-8332-2634 Let me know if you add me so I can add you back! Nintendo ID ThePeterWright Let me know you have added me! All Psuedo-Legends get a Mega. Yeah actually Regenerate probably wouldn't be the right ability anyway. Part of Lanturn's strength is that it's typing+Volt Absorb pretty much stonewalls most Water and Electric types. Just give it boosted defenses and it gets it's job done just fine. Honestly, I'd rather just see a regular Lanturn evolution. Then it could hold Lefties and do its job. It's not going to be Bug/Dragon, dragonflies aren't connected to dragons in Japanese. Bug/dragon would be pointless because it has 0 special dragon type moves (or physical without some weird ability). Yanmega is good because of his two stabs, air slash and bug buzz combined with speed boost to obliberate fast threats like sceptile, sharpedo, and beedrill. Removing one of his STABs would only hurt him. Give him an unique ability then that changes certain moves to Dragon. He has no moves to change to dragon outside return. Dragon only hurts dragon... while being resisted by steel and fairy is immune, giving him weaknesses to dragon, and fairy while only getting rid of electric weakness and removing ground immunity. Flying hits everything hard but steel and electric (which bug STAB handles the later) while keep the same ammount of weaknesses and an immunity. Yeah 4x to rock but he's still hit hard when pure bug anyway. Water resistance thanks to dragon doesn't really matter since yanmega didn't care that much about it before. Speed boost non-mega.. and then hit everything with a sheer force bug buzz/air slash. That's destruction there. ^ LO Makes up for the 30% boost from type changing abilities. Atk set to 126. Adaptability would work too (and probably better) but there is already way too make things getting handed the ability.